Primula sent me a couple of tubes of their cheese spread recently to try out some of their recipes. This is so simple that even big man helped me make it for him and the boys to eat. Even better is that they ate it! I know that not everyone is addicted to Pampered Chef products like myself, but if you do have their muffin pan it is perfect and means that you don't need to use streaky bacon. Line a muffin hole with bacon. Crack the egg and mix with the Primula. Pour this mix into the bacon lined hole and cook at 200 degrees for 15-20 mins. Toast and butter half an english muffin. Scoop out the bacon and eggs and place on top of the muffin. Serve with sundried tomatoes and fried mushrooms. 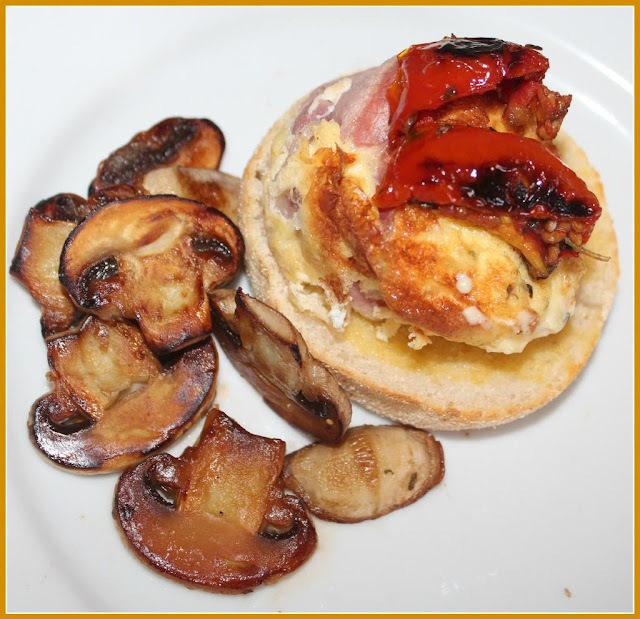 For more recipes using Primula visit their website. We were given 2 tubes of Primula to have a go at their recipes.